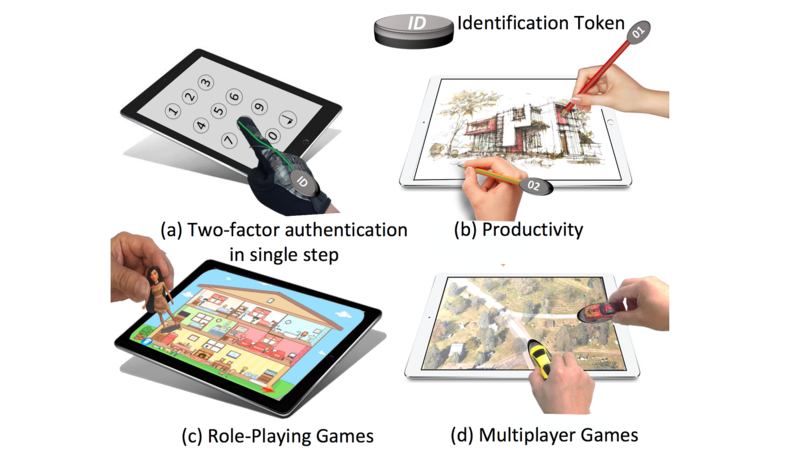 In this project, we propose the design and implementation of low–energy tokens for smart interaction with capacitive touch– enabled devices by associating the token’s identity with its contact, or touch. 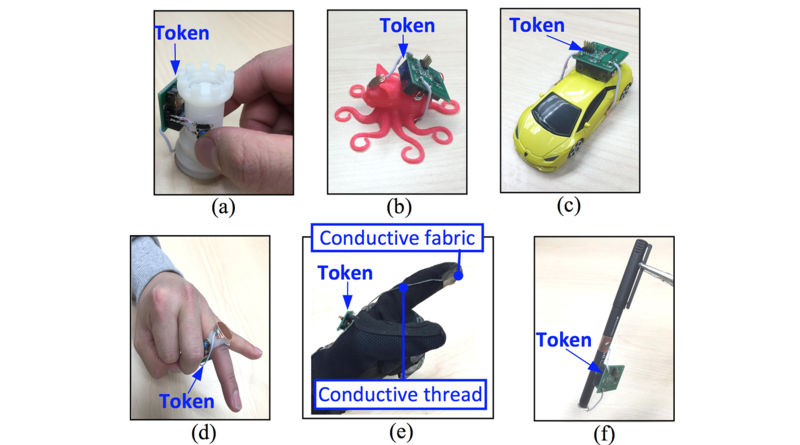 The proposed token’s design features two key novel technical components: (1) a through–touch–sensor low–energy communication method for token identification and (2) a touch–sensor energy harvesting technique. 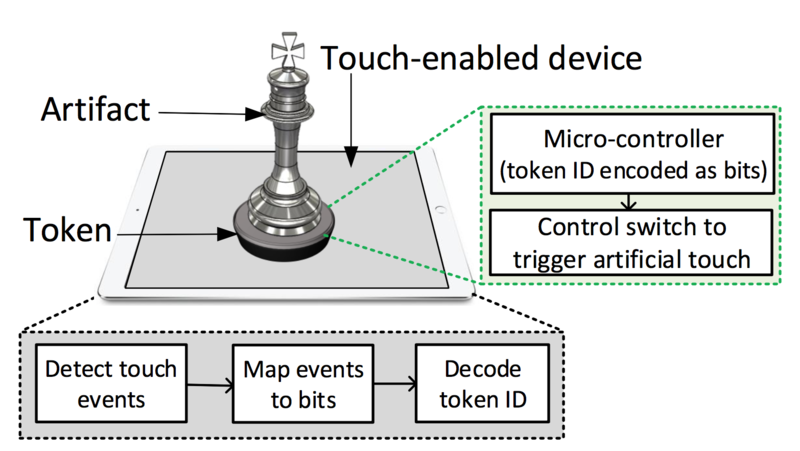 The communication mechanism involves the token transmitting its identity (ID) directly through the touch–sensor by artificially modifying the effective capacitance between the touch– sensor and token surfaces. This approach consumes significantly lower energy compared to traditional electrical signal modulation approaches. 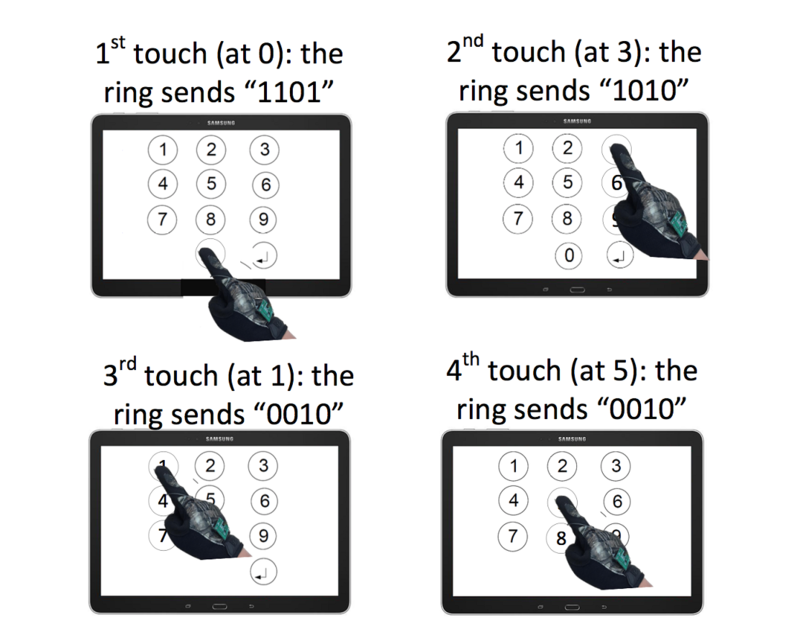 By enabling the token to harvest energy from touch–screen sensors or touch–surfaces the to-ken is rendered battery–free. 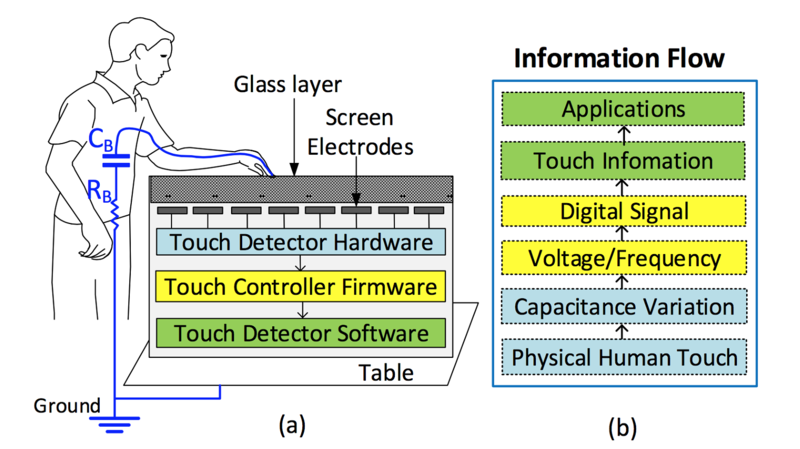 ACM SenSys 2016 - The ACM Conference on Embedded Networked Sensor Systems, Stanford, CA, USA, November 2016. (21 out of 119 submissions, acceptance ratio: 17.6%). ACM CCS 2015 (Poster Section) - The ACM Conference on Computer and Communications Security, Denver, USA, October 2015.